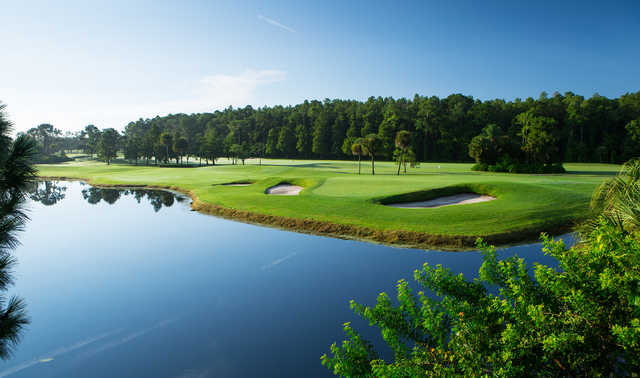 The natural beauty of the Florida woodlands makes Disney's Palm Golf Course one of America's premier resort destinations. 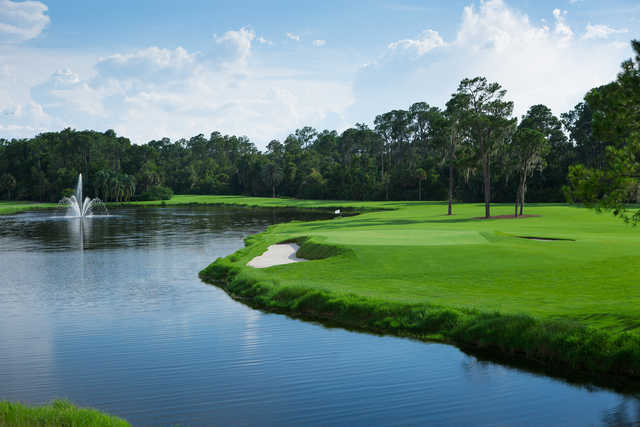 One of Disney's toughest golf courses, the Joe Lee design features sparkling lakes and tropical sand in a scenic golf landscape populated with strategically placed palms. The natural beauty of the Florida woodlands makes the Palm golf course at Walt Disney World® Resort one of America's premier resort destinations. 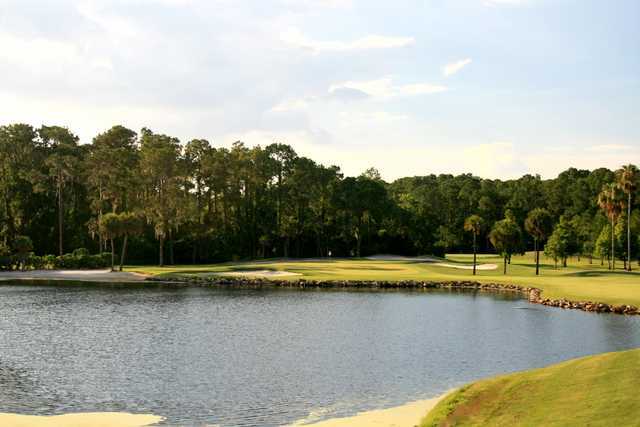 One of Disney's toughest golf courses, the Joe Lee design features sparkling lakes and tropical sand in a scenic golf landscape populated with strategically placed palms. 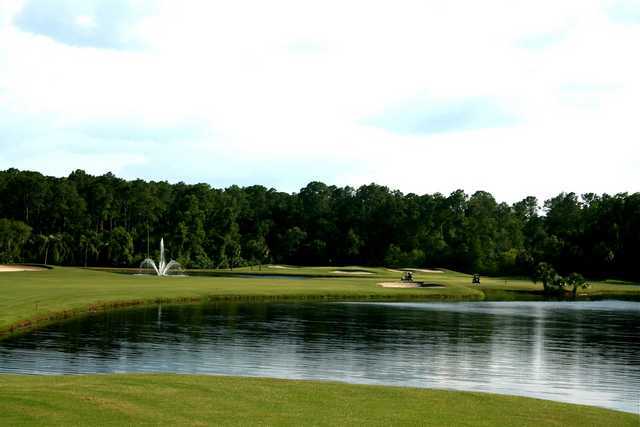 The golf course features many tree-lined fairways, plus elevated greens and tees. 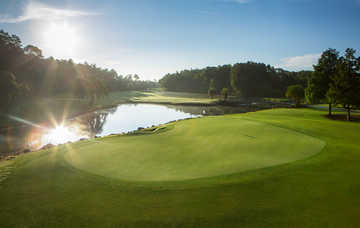 It has more than its share of water and sand hazards, with nine water holes and 94 bunkers strategically placed around the course. 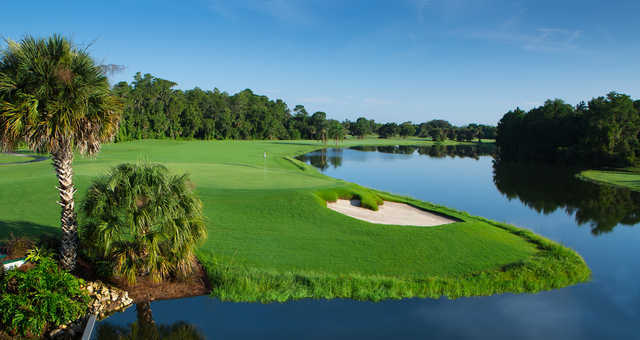 Disney's Palm Course measures 6,870 yards from the blue tees and carries a course rating of 73.7 and a slope rating of 131. 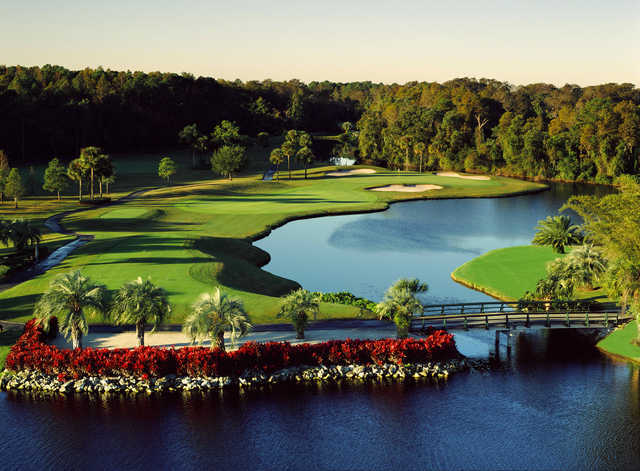 The par-4 18th hole has been rated the fourth-toughest hole on the PGA Tour, and Disney's Palm course has been ranked as one of America's Top 75 Resort Courses. Played it 2016-03-30. Our group usually picks the tee blocks closest to 6000 yards. We get out on the course, and every set of blocks is moved up. Talked to a gentleman when we finished, and he says they'll do this to "speed up play". After travelling 1300 miles for a golf trip, this is extremely disappointing. We've already taken one course out of our rotation for doing this, so I think I'll help them speed up play by playing another course next time. A very nice course. Good layout, good service, really worth the money. Played it after a hard rain night and it was still in a good condition.